Most of our worries come from a need to be secure. The world is a chaotic place and it can be hard not to feel the fear at times when there are so many things beyond our control. We are living in an age of insecurity and upheaval, and it is perfectly natural to feel worried or unsure from time to time. Anxiety is an extreme version of these fears and can be extremely debilitating for those that experience it long term. Follow these steps to reduce anxiety and reach your full potential. Anxiety can lead to panic attacks, which are a very frightening experience. When experiencing anxiety, the most important thing to focus on is your breathing. Take deep, cleansing breaths in through the nose and out through the mouth. Count slowly in your head as your breath, and make the out-breath longer than the in-breath. Considering the actions that you would take in a worst case scenario puts you in a position of power over your anxiety. See yourself dealing with the problem in a calm, measured, positive way. People that experience intense anxiety; often get frustrated with themselves. This creates a cycle of anxiety that can be very upsetting, as worrying about feeling anxious becomes a point of stress in itself. Make short-term plans to do things that you will look forward to, such as a cinema trip or lunch with a friend and where possible, follow through with plans, even if you are feeling anxious. Far healthier than sitting and thinking about your worries, this teaches your brain to cope with anxiety and by distracting you, helps to overcome it. It is important to practise being present and to live your life in the here and now. So often our minds drift into the future or back into the past, and so many fears are ‘what ifs.’ Think of all the things you worried about last week or last year. Most of the things you feared won’t have actually happened. Worrying was a complete waste of energy that would serve you much better to be directed into something positive. Recognise the signs of anxiety for what they are, and let them gently drift away without judging them, or yourself. Whenever you feel fear and anxiety, breathe love into the situation or emotion and detach yourself from it. For example, if you fear losing your job, let go of the fear of losing, and breathe love into the situation. Accept that whatever happens, you will land on your feet. You are your own best therapist. Only you can break the negative patterns of the past. The desire for change has to come from within. You have the power to choose. The following technique will help you calm your mind and alleviate anxiety. If you are constantly going over problems in your mind, your thinking and judgement becomes clouded. But when you meditate you allow your mind to rest and recuperate. You can use this technique for 20 or 30 minutes at a time. You will be amazed at how good you will feel afterwards. You will find that you have a new perspective on problems and can deal with things with greater clarity. Go to a quiet room where there are no distractions. Light a candle and place it in front of you. 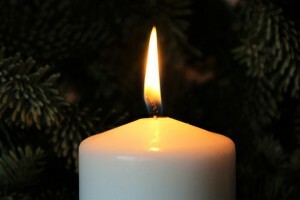 Sit comfortably in front of the candle and focus on the flickering flame. Watch the movement of the flame and begin to breathe very slowly and deeply: in through your nose and out through your mouth. Make each circular breath long and deep, and clear away any thoughts so your mind becomes still and centred. Don’t worry if you get the odd unwanted thought. Just centre your mind again and allow the thought to drift away. Focus on your breathing and the stillness of the moment. Keep your eyes on the flame and remain centred and focused. Be in the here and now and accept everything as it is. Continue with your slow, deep breathing and allow yourself to relax deeply. You can stay in this pleasant state for as long as you like. Focus on solving a problem or letting go of a particular worry. When you do this, focus on one thing at a time and keep it simple. Send lots of love to the situation and trust that the outcome will resolve itself in a positive way. When you have finished, blow out the candle and close your eyes, and notice the thoughts that come to you at this time. You will feel refreshed and relaxed and you may find you get some inspiration on what to do next. 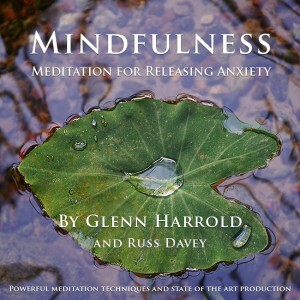 You can use this meditation before you go to sleep, as it will relax you and clear your head. P.S. 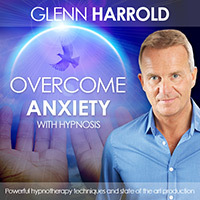 My self-hypnosis and meditation recordings can help with anxiety and relaxation. I have started doing the Wim Hof method for breathing and that has really opened by eyes to how effective breathing can be as a relaxation tool. It is so important for health. 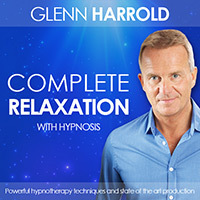 Hey Excellent Blog you have shared for self hypnosis. In hypnosis, your mind is more open to accepting the ideas you truly want. These ideas can help you to change or control your behaviors, emotions, health, anything the vast power of the mind may influence. 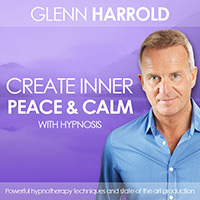 Self hypnosis that tells you exactly the words you need to hear.